Don’t miss a minute of the excitement! Austin is gearing up for South by Southwest. In 2019, SXSW is set to draw record-breaking crowds—and at Royal Executive Transportation, we’re expanding our fleet so you can enjoy the finest luxury transportation to and from the events. This year’s festival will be held March 08-17 and promises to be better than ever. The South by Southwest (SXSW) Music Festival is one of the largest and most highly anticipated music events in the country. Taking place in downtown Austin each year, it brings together original music and popular artists for nearly a full week of performances, activities, and fun. 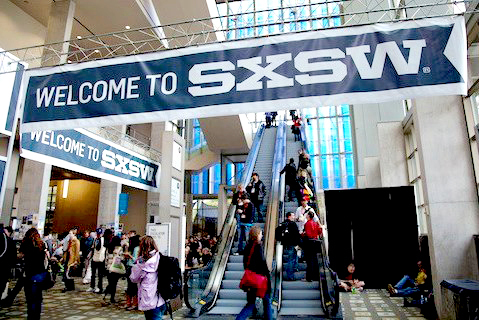 Always expanding, SXSW is no longer just about up-and-coming musicians, though. The festival highlights innovators in a variety of industries through separate Music, Film and Interactive conferences. From red carpet movie premieres to groundbreaking technology debuts, SXSW also has plenty to offer film producers and tech executives alike. Make sure you don’t miss a bit of the action when you book your reservation with Royal Executive Transportation. From the minute you arrive at the airport, one of our luxurious private cars will be there to make your trip stress free. You’ll never have to worry about fighting for a parking space or depending on unreliable public transportation—our prompt, courteous drivers will bring you to and from your festival events, with drop-off and pickup right at the doors. When you choose Royal Executive Transportation, you’ll receive the optimal balance of comfort and cost effectiveness. Our rigorously maintained fleet of stretch limos, town cars, and luxury SUVs offers the best luxury private transportation around—and our prices are surprisingly affordable. While you’re planning your experience at the South by Southwest Music Festival, don’t forget to book your reservation for a hassle-free festival with Royal Executive Transportation.